PREP WITH LESS STRESS: There is no kitchen task more tedious, painstaking, or untidy as hand peeling apples. The Vremi Apple Peeler makes it easy, eliminating the sticky mess and saving tons of time. 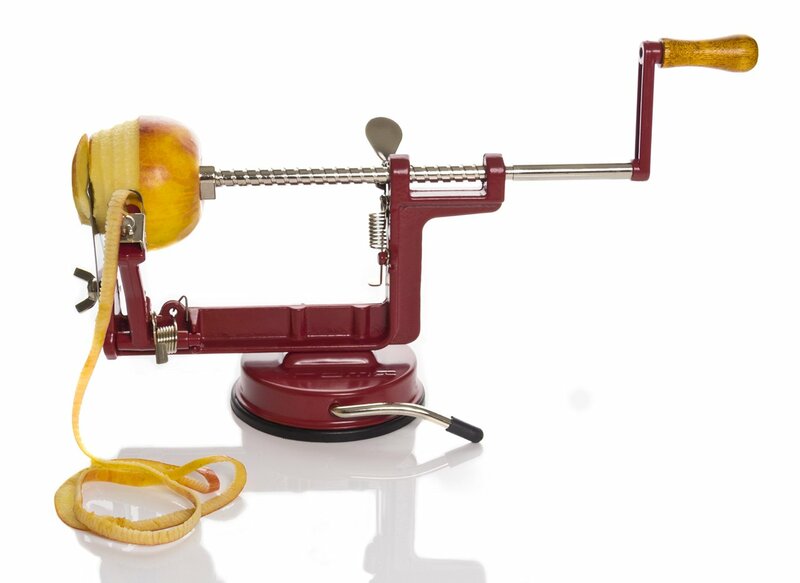 Following the simple instructions provided in the included manual, push the apple onto the 3-pronged fork, adjust the pairing knife to control the amount of peel desired, and slowly turn the crank. The results are perfectly prepped apples in no time at all! At Vremi, we strive to provide products that make it easy to attain a healthy lifestyle. 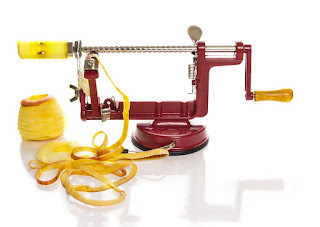 The Apple Peeler is a handy tool for sneaking some fruit into the diets of peel-opposed children. Or, leave the nutritious skin intact and use the peeler to remove just the core; fill the fruit with natural peanut or almond butter for a satisfying snack. There is a world of possibility beyond apple pie waiting to be discovered. 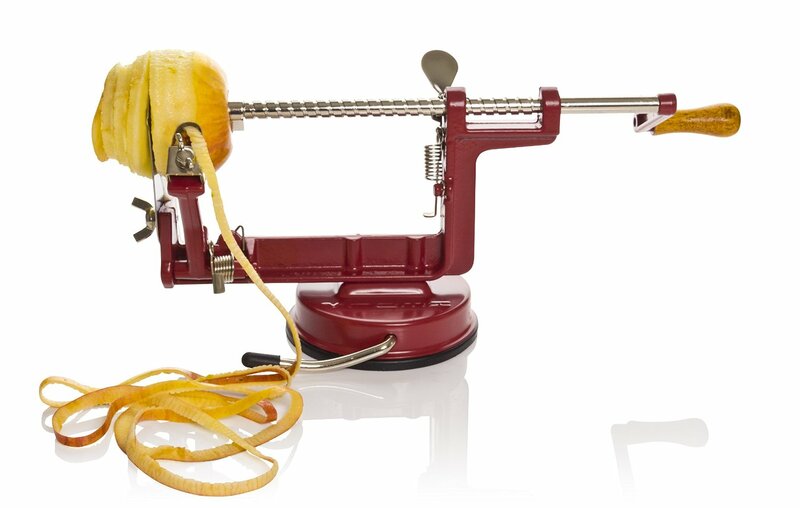 The Vremi peeler makes it easier to experiment with fruit focused recipes. 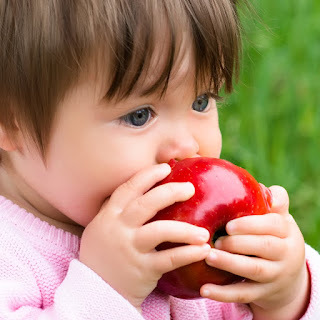 Try simmering peeled apples with sugar, salt and cinnamon, then blending your own applesauce! Sauteed and served over pork chops, apples can also be the shining star of your dinner party. 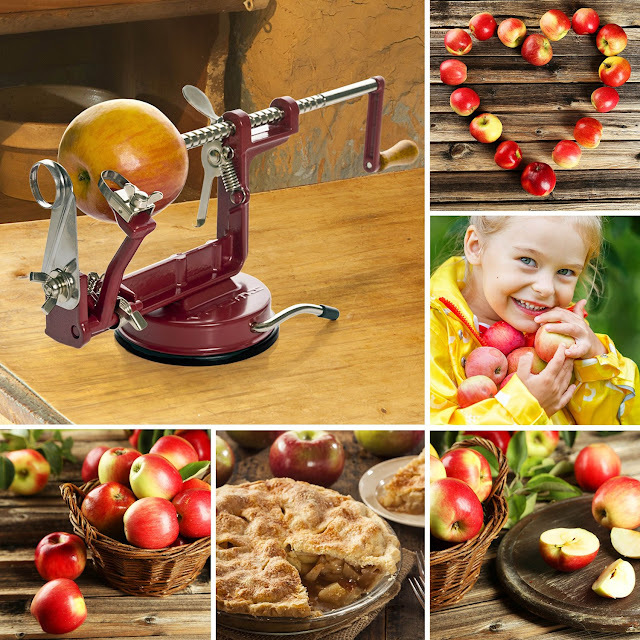 Featuring a vintage inspired design, in a classic red color with a wooden knob crank, you'll want to showcase your apple peeler rather than tucking it away in the pantry. 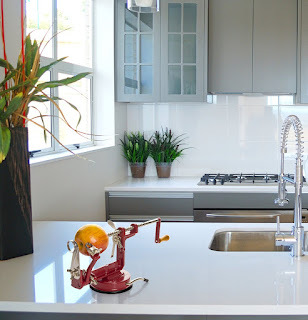 It's a space saver and a stylish accessory in one! 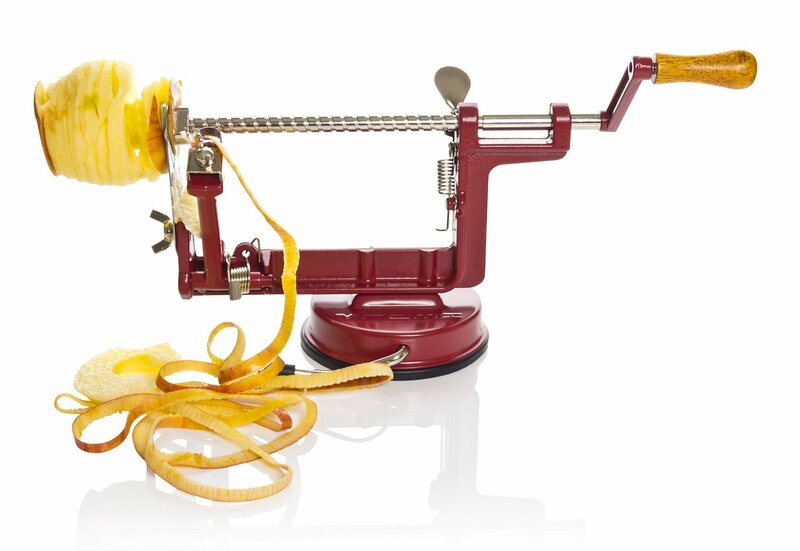 RECYCLE THE PEELS:Once you start using the Vremi Apple Peeler, you'll be hooked. That could mean a lot of extra apple peels lying around. 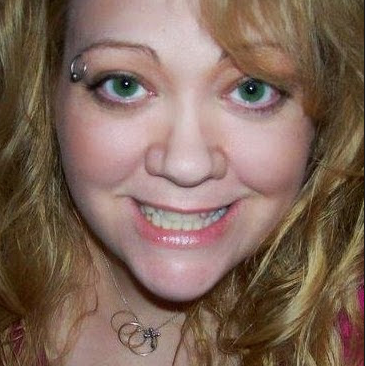 Rather than tossing them, try getting creative. Add the peels to smoothies for a fiber boost, sprinkle them with cinnamon and bake them for a crunchy snack, or dry them with a few other fruit rinds for a DIY potpourri. The Vremi Apple Peeler and Corer will have you wanting more than an apple a day. Bake perfect pies in half the time, get creative with snack time, or expand your culinary prowess and experiment with savory apple accents. Trying to bring the family into meal prep? The easy to use vintage design will spark more smiles in the kitchen. 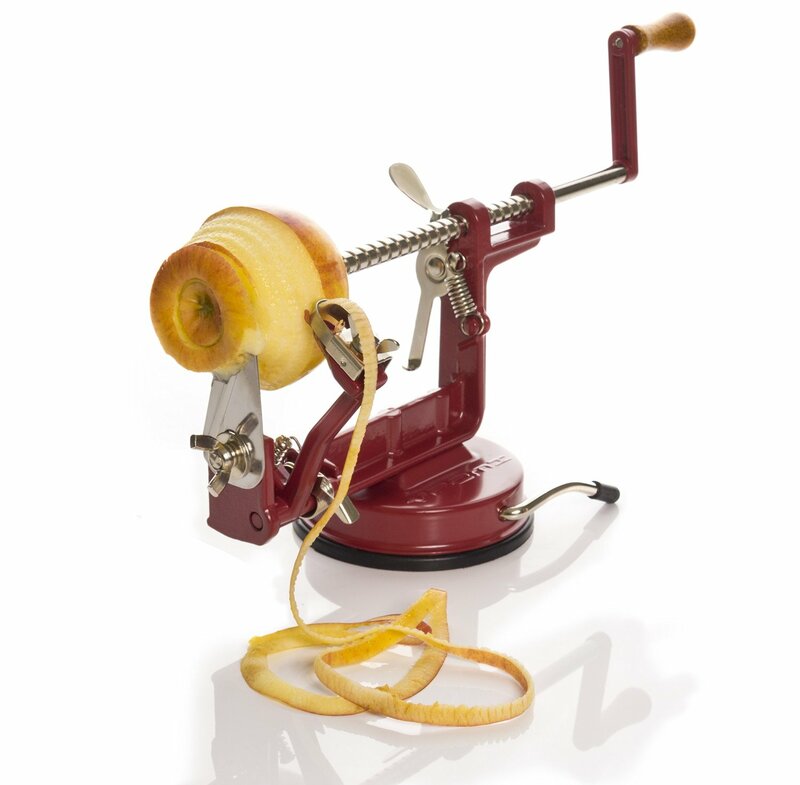 Adjust the pairing knife to control the amount of peel desired. 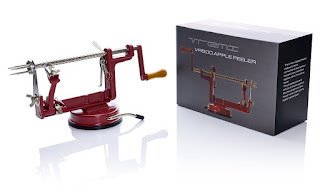 I was so excited to get to try this Apple & Potato Peeler by VREMI. I love that it is red and fits in my kitchen perfectly. I have always wanted a manual apple peeler and this one is very nice. It took me some time to adjust the pairing knife to get the least amount of apple and only the skin, but I got it figured out and now I can quickly peel, core and slice apples for pies and desserts in no time at all. I like that I can also use this to peel potatoes. Since these fruits and vegetables vary in size, I like that the pairing knife can be adjusted to peel only the skin. I like that he suction cup really holds this peeler securely onto my counter top. I also like that it cores the apples because that is the job I dislike the most when making pies. This peeler saves me a lot of time and it is actually fun to use. I recommend it.